I recently received a bug report about the free space calculation in gnome-vfs-obexftp. At the moment, the code exposes a single free space value for the OBEX connection. However, some phones expose multiple volumes via the virtual file system presented via OBEX. It turns out my own phone does this, which was useful for testing. The Nokia 6230 can store things on the phone’s memory (named DEV in the OBEX capabilities list), or the Multimedia Card (named MMC). So the fix would be to show the DEV free space when browsing folders on DEV and the MMC free space when browsing folders on MMC. I took a look through the OBEX specification, and this mem-type wasn’t defined. So it looked like a Nokia extension. 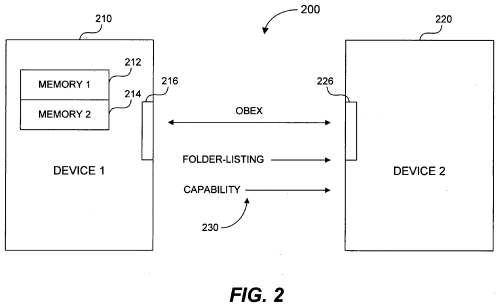 Doing a quick search, the closest I came to a describing it was US patent application #20060095537. As far as I can tell, using the information returned from the phone wouldn’t be covered by the patent (if it gets issued, that is). So it should be fine to use the information to calculate free space more accurately. The code only supports Video4Linux 2 radio tuners (since that’s the interface my device supports, and the V4L1 compatibility layer doesn’t work for it). It should be possible to port it support both protocols if someone is interested. No properties dialog yet. 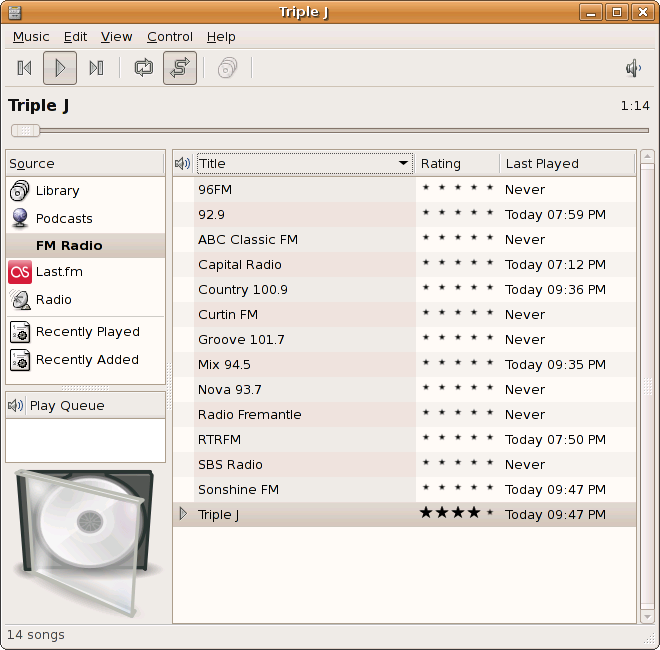 If you want to set titles on the stations, you’ll need to edit rhythmdb.xml directly at the moment. The code assumes that the radio device is /dev/radio0. Other than that, it all works quite well (I’ve been using it for the last few weeks). I developed this plugin in Bazaar using Jelmer‘s bzr-svn plugin. It produces a repeatable import, so I should be able to cross merge with anyone else producing branches with it. It is also possible to use bzr-svn to merge Bazaar branches back into the original Subversion repository through the use of a lightweight checkout. At the moment, the basic tuning and mute/unmute works fine with my DSB-R100. I don’t have any UI for adding/removing stations at the moment though, so it is necessary to edit ~/.gnome2/rhythmbox/rhythmdb.xml to add them.